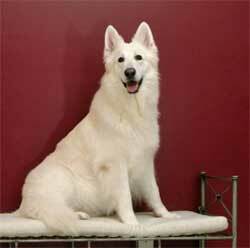 We believe that our Atlas is the most titled white German Shepherd in history. Of course, there is no official tracking of this, but with 133 titles, awards and certificates, we believe he has the most. Our dogs are most stimulated with they dabble in lots of different things and Atlas was a great example of that. Versatility is what we focus on here at Atlas Kennels. Atlas is no longer with us but this versatility continues on in his descendents. 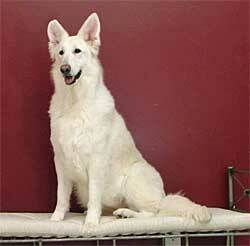 Our Atlas was our first dog and earned 134 titles, awards and certificates. You can see a listing on his page. Mira is the daughter of our Atlas and has just a few less titles than him with 93 titles, awards, and certificates. You can see a listing on her page. Many of our current dogs are racking up the titles and giving Atlas and Mira a run for their money!